The king has captured the dragons. Flame Land is short. 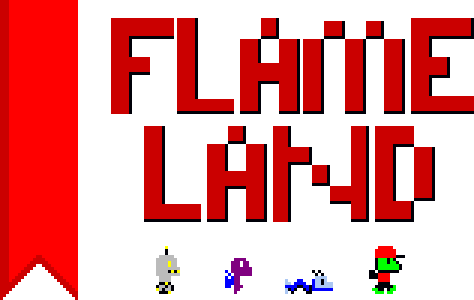 Flame Land can be beaten in 5 minutes - must be beaten in 5 minutes if you want a high score. But Flame Land is wide. The length of the game is not how long it takes to beat, but how long it takes you to discover everything - or rather, how long it takes you to apply those discoveries to your quest. The game does not end when the final boss falls. Explore. Discover new characters. Master those characters. Find hidden paths. Die less. Die not at all. Easy to play. Difficult to master. Short to beat. Long to complete.